Las Vegas Pass provides free entry to 50+ attractions with options to choose from 1,2,3 or 5 day Las Vegas Pass. This ultimately saves your time as you have to show your card and get free entry. This also saves your money as you get discount on multiple attractions and the best part is you can travel cashless. Get the best Las Vegas Pass deals at Wingcoupon.com. 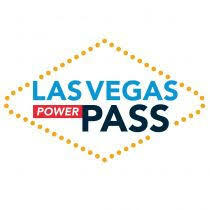 Use this Las Vegas Pass promotion code and save 10% on all passes purchased online. Grab this deal and save your money also get unlimited fun and fantastic experience.